← The last time I saw Paris . 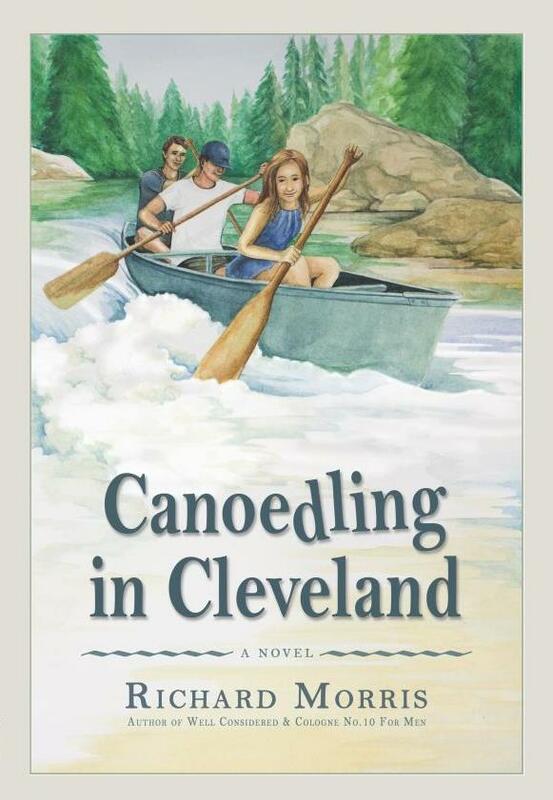 . .
Set in 1960, Canoedling in Cleveland is an informative, engrossing tale about a trio of teens involved in canoeing around the waterways of Cleveland. I learned so much from reading this book! It is designed to inspire readers to learn how to manage a canoe as well as be self-motivated. While Jeff, Lori and Randy are all reasonably responsible teens, they run risks just like any other adolescents in their desire for summer fun and competition. The character development is good. I liked the dynamics Morris cultivates between them all. I liked their discussions. In the midst of having summer jobs and getting the details of their next venue for canoeing (which teaches the reader how much more polluted some waterways were in the 60s than now), they also discuss issues of the day like the differences in racial treatment. I liked the competition! I cannot imagine a young reader not being absorbed by the hilarious contest of Jeff and Randy paddling against each other in the same canoe, or the swimming race. I liked their discussions, taking in all elements of dangers on the water. These discussions will help prepare readers so that they are not caught off guard. The author inspires a healthy interest in this fascinating sport, demonstrating that young people do not need to be sent off on expensive trips in order to find ways to enjoy themselves. I liked Walter Madison and Sarah and appreciated the inclusion of these characters in the story. Morris has done a wonderful job, creating a book that deserves a place in every middle school and high school library. This entry was posted in Canoedling In Cleveland and tagged 1960s polluted waterways, books for middle school and high school, canoeing competition, canoeing the waterways of Cleveland, Carpe Noctem, character appeal and development, differences in racial treatment, hilarious adolescent contests, managing a canoe, Middle-Grade/Young Adult books, plot and story appeal, production quality and cover design, spelling punctuation and grammar, structure organization and pacing, summer fun without the expense, voice and writing style. Bookmark the permalink.